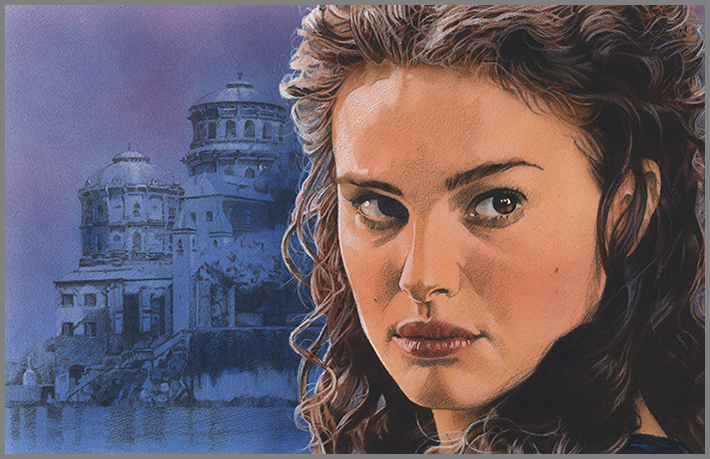 Russell Walks created this beautiful print of Senator Padmé Amidala with a background of her former residence, the Theed Palace of Naboo, for the Art Show at Star Wars Celebration III. 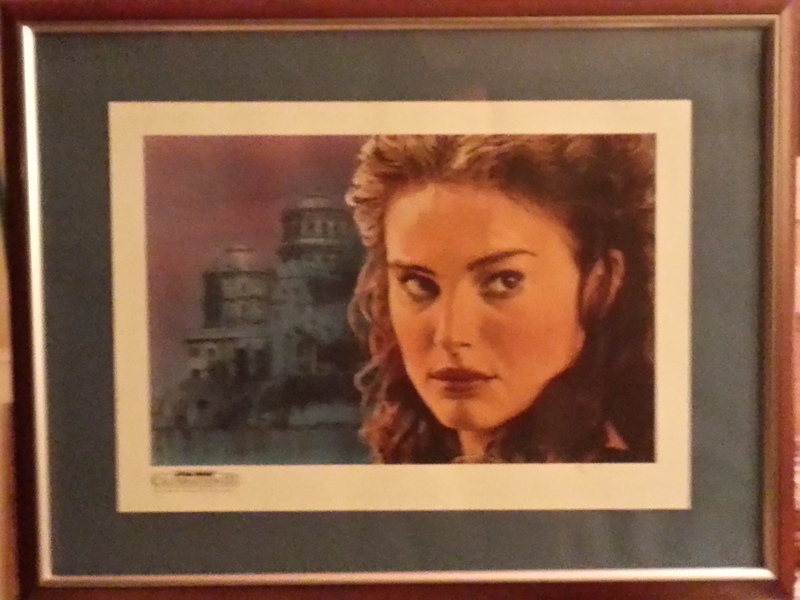 While the Art Show is now a staple of Star Wars Celebration with artists competing for one of a limited number of spots to sell an exclusive art print, this was the first art show and you had to make an effort to even find it. On the last day of Star Wars Celebration III in Indianapolis, I came across the Celebration Art Show. I purchased the print directly from Russell Walks, although like the current art show, I may have had to pay through an intermediary.